I spent last Saturday in a room soaking in lessons from Warren Buffett and his partner Charlie Munger, as I have for seven out of the past eight years. The simple lessons on life and career are priceless. During the seven-hour question and answer, one man asked about Berkshire Hathaway’s competitive advantage. Simple? Sure. Profound? I’d say so. Warren and Berkshire Hathaway have been making and keeping simple promises for decades. They promise the companies they purchase that they’ll treat them with respect and allow them to continue operating autonomously. They promise their CEO’s they’ll get to run their businesses the way they want to, with hardly any oversight. They promise shareholders they’ll run Berkshire in their best interest, despite what Wall Street says. And here’s the kicker. They deliver on those promises, just as they have consistently for the past 50 or so years, with hardly any exceptions. This, along with Buffett’s incredible investing savvy, have allowed them some of the best investment prospects and deals in financial history and have turned Berkshire Hathaway into one of the biggest, most valuable and best-performing businesses of all time. 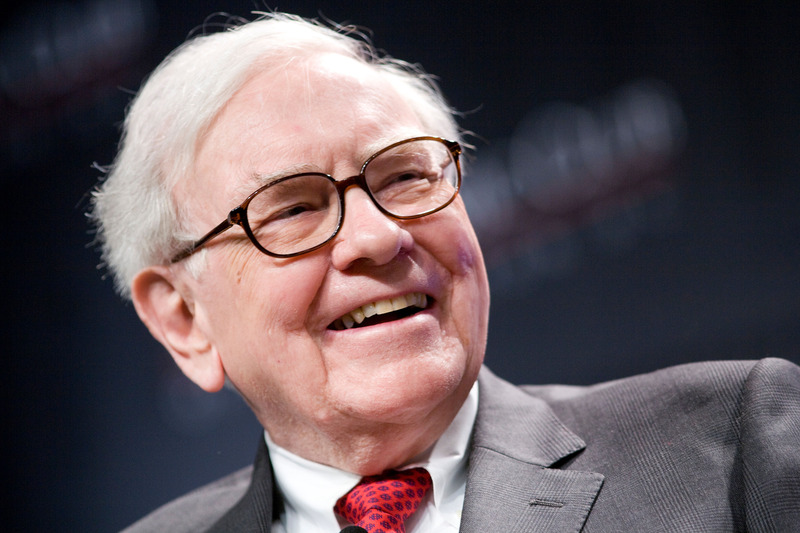 Buffett has made around $50 billion in the process, 99% of which he’s pledged to various charities. This also helps explain how his first annual meeting of about eight attendees held in a little cafe in Omaha has grown into around 40,000 partners, ages nine to over 90, coming from every corner of the world. This makes it the biggest shareholder meeting in the country – by a long shot. By the standards of the rest of the world, we over-trust and we hire people knowing we’ll over-trust them. That’s done very well for us. We want to create a culture of deserved trust. We want to be good partners because it attracts good partners. The way to get a good spouse is to deserve one. It’s the old-fashioned way of getting ahead. I’m not concerned about Berkshire not making money because we’ll figure that out. What concerns me is someone doing something that really effects our reputation. As it turns out, Buffett’s answer might be some of the most powerful career and business advice around. The strength of our reputation is based on the promises we keep. Your personal brand is built upon what people come to expect from you, based on their past interactions. And that brand is what can build or destroy your impact. And the success of a business is based on the promises it keeps to its customers. It’s not about the hype or the claims. You thrive or die on the experience the world actually has with its interaction. Buffett always says a brand is a promise. It’s a promise that you’ll get exactly what you were told you’d get. When you deliver on that promise consistently over a long period of time, people think you’re remarkable. Eventually, you’re the obvious choice. You become your own monopoly. People start to call you. They want to be associated with you. They want to hire you. They want you to hire them. I love the brands, companies and people that I’ve chosen because I trust them. They make and follow through on promises without me even noticing. And over time, that makes me incredibly loyal. Nowhere is a promise more powerful than the brand that your own name represents – it’s the image you prove to the people around you. I try to build upon our Live Your Legend promise with everything I do so I can provide you with the most useful tools and community we’re capable of creating to help you find and do work you love and surround yourself with the people who make it possible. Your trust means everything to me. Everything I do, I do with the goal of building upon that trust. Because without your trust, there is no Live Your Legend community, no business, no revolution. It all hinges on the promise. So does every relationship you and I seek to build. Sure, we don’t get it perfect every time. I screw up. And yeah, Buffett screws up too. None of us will always get it right. But missteps become a lot less likely and much less severe when backed by trust. And decisions become so much easier. What promise do you want to represent to the world? Have you been keeping the ones you’ve been making? Are they building upon the brand and impact you want to be known for? Because it’s the small kept promises that lead to the connections, the sparks, the serendipity and to the runaway successes. The challenge is that it’s tough to notice the progress day by day, making it all too tempting to trade long-term respect for a little short-term reward. Buffet is unbelievably talented at avoiding this trap despite being called an idiot in the press every decade or so. After they first obey all rules, I then want employees to ask themselves whether they are willing to have any contemplated act appear the next day on the front page of their local paper, to be read by their spouses, children, and friends, with the reporting done by an informed and critical reporter. If they follow this test, they need not fear my other message to them: Lose money for the firm, and I will be understanding; lose a shred of reputation for the firm, and I will be ruthless. It’s scary to think how quickly a lifetime of trust and kept promises can be destroyed. It’s equally amazing to realize that our biggest competitive advantage – for ourselves and the businesses we build – is 100% in our control. Our future opportunities will come from the promises we keep today and the people to whom we keep them. You have my trust and respect. Great post. I have had the pleasure of working closely for some of the worlds most successful self made billionaires. Truly inspirational and no coincidence that all real wealth is founded on core values, ethics and trust. All signed up for the workshop, looking forward to it. Good stuff Scott. Thanks for sharing some of the key points you learned during your time at The Berkshire Hathaway annual shareholders meeting. Such simple yet powerful lessons. They say you can’t build a reputation on what you’re going to do or as Mr. Buffett puts it, do what you say you will do. It seems then we are what we do and not what we say. Love this excerpt from one of the messages about… “It’s the old-fashioned way of getting ahead.” Couldn’t agree more… awesome! We are what we do. Perfectly put! Love what you said Mike; thank you. That’s what I hope for, that what I do, instead what people brag about and not do will shine one day. That the effort of caring from all the heart will be reflected back. I can now trust that the revolution that was promised at the end of 2013 is really coming our way. My employer decided to close our branch office, so it an opportunity to for all those who are in. Well I’m certainly glad you’re with us Etienne! I love this quote you have to keep your promise all the time. I know I have to work this thing out but everyday I am can say I am getting better. In these busy times, it so easy to relax on all the small promises. But keeping them – the smalls ones and the big ones is what really builds trust. I really appreciate this point, Scott. It’s important to remember when we’re tempted to brush off responding to an email or a comment on a blog. It may seem small, but it’s all part of our integrity and representing who we truly are. It’s amazing that you have been attending these meeting for the personal growth aspect. I couldn’t agree more about the importance of integrity. Anyone can go out there and make money, but it’s our word and our reputation that makes us unique. Like you, I am building something based on my story, my name, and what I desire most in this world. Great article, this really enforces my beliefs I’ve gotten from the book “as a man thinketh” by james allen, which basically states that success can only be accomplished by being a genuinely good man. “A man of pure character can’t possibly fail’. And that’s exactly where many go wrong. They fail because they set to low standards for themselves when it comes to acceptable behavior. Help people and treat them right, pretty simple but we insist of making it complicated. Good read on this is “How to treat friends and influence people” by Dale Carnegie. Note to self: reread that book. Although all this “build a business”, “make a living doing something you love” can be overwhelming at (most) times, I just need to keep going and adjusting as I go along. You’re alright Scott, thanks for the post! You have any tips for overcoming fear? I want to “put myself out there” more than I’m currently doing. I feel like I’m limiting myself way to often based on fear of rejection and therefore am not really living as much as I should. Just ffin do it? assist one generate income and generate living from well-liked pastime. There are few things wrong using the system but the actual problem is with the better. Betting on Horse Racing is much more skill than luck, although you’ll get many arguments about that statement. the right location, search for areas that are symbolic of money. also helps to get rid of bad cholesterol from your body also it will allow you to lose extra weight as well. It’s so nice that I read this article. Thank you very much. Giving and fulfill the promises are so cool and I understood it from my own experience. The time to study or stop by the content or web sites we’ve linked to beneath. Below you will locate the link to some websites that we believe you should visit.